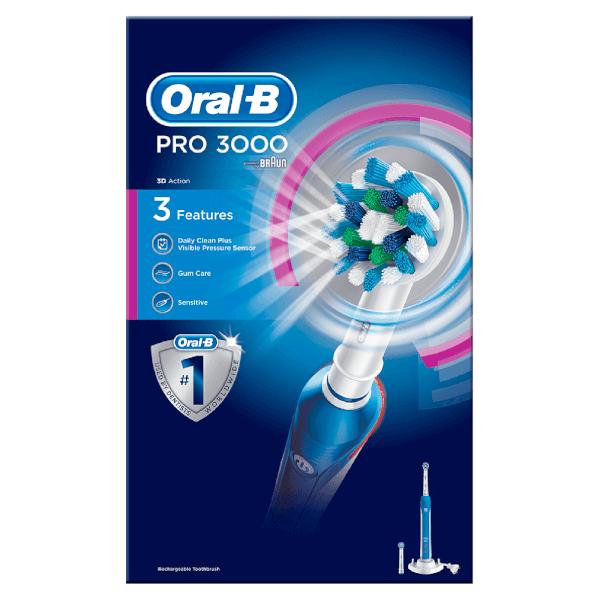 Keep those teeth and gums looking great and healthy with the all-new Oral-B POC Handle Pro 3000. 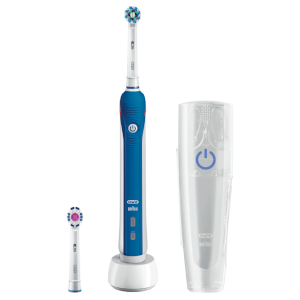 This unique toothbrush has a triple pressure sensor that lights up when you press too hard on your teeth. 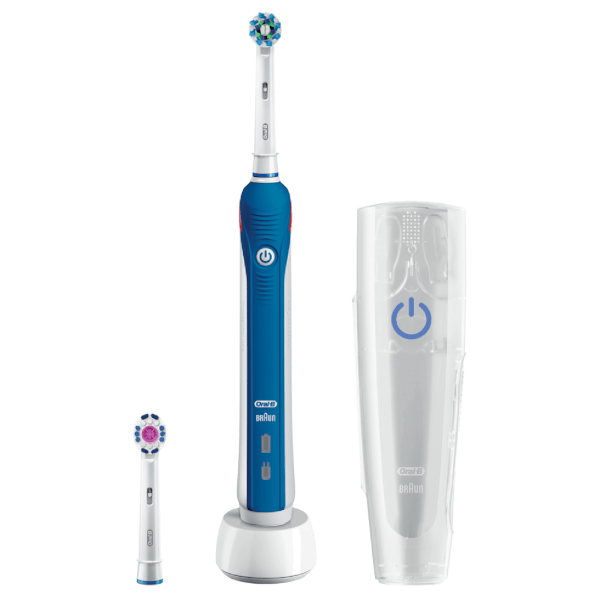 With this brush you can keep your teeth in good condition for as long as possible - the brush rotates and oscillates, helping you clean more plaque off your teeth. A lightweight design makes holding onto this brush for minutes easy, while multiple brushing modes let you customize your brushing experience. The lower speeds are ideal for sensitive teeth. An integrated two-minute brushing time helps you brush your teeth properly every time.